CHICAGO – (August 29, 2018) – International architecture firm Goettsch Partners (GP) is pleased to announce that James Goettsch, FAIA, and James Zheng, AIA, LEED AP, have been named co-CEOs of the firm. In addition, Goettsch will continue as chairman, and Zheng will continue as president. Goettsch and Zheng, principal partners in the firm, have worked closely together for more than 20 years, sharing the leadership and management of the firm since 2013. GP’s board of directors named Zheng co-CEO in recognition of his expanding responsibilities and achievements over the last five years and his ability to enhance the practice going forward. Further, the board believes that the combined efforts of Goettsch and Zheng will strengthen GP’s ability to deliver leading design and technical expertise at the highest service level. In his expanded leadership role, Zheng will focus on developing a strategy for future growth and strengthening the firm’s global identity. He will continue to be directly involved in the planning and design of large-scale office, hospitality, residential and mixed-use developments worldwide, applying his expertise in design, management, operations and business development. As chairman and co-CEO, Goettsch will continue to lead the direction and quality of the firm’s design activities, directing the design of multiple significant projects within the office and expanding the firm’s business. Goettsch received a Bachelor of Architecture degree from Iowa State University and began his career in New York City. 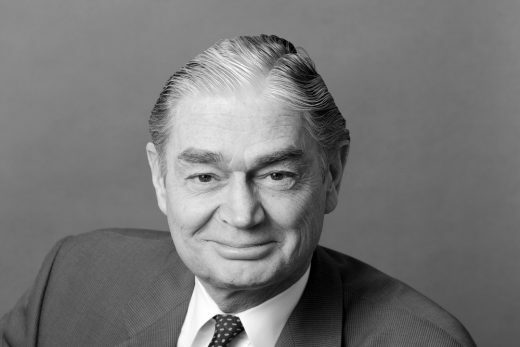 He moved to Chicago to work for CF Murphy Associates, which became Murphy/Jahn, remaining with the firm for 19 years, including five years serving as principal in charge of the New York office. Goettsch joined Lohan Associates as a design principal in 1992 and helped guide the firm’s transition to Goettsch Partners in 2005. In 1988, the American Institute of Architects named Goettsch a Fellow in recognition of his contributions to the profession. Throughout his career, he has been recognized by the AIA, other professional organizations and academic institutions with local, regional and national design awards, as well as invitations to speak publicly on design issues. Goettsch is a member of the AIA, the Council on Tall Buildings and Urban Habitat, and the Mies van der Rohe Society. 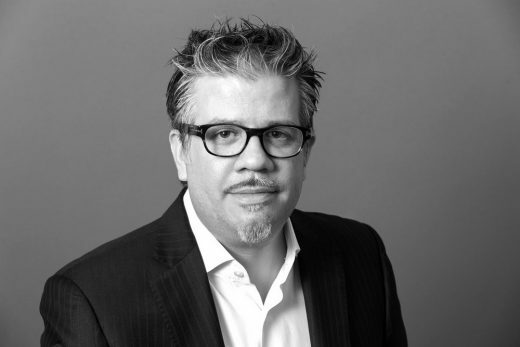 He has served on the boards of directors for both the AIA Chicago chapter and the Chicago Architecture Foundation. A native of Shanghai, Zheng studied architecture at Tongji University for two years before moving to Chicago. He received a Bachelor of Architecture degree from the University of Illinois at Chicago and a Master of Business Administration degree from Northwestern University’s Kellogg School of Management. Since joining the firm in 1995, he has risen to his leadership position with balanced strengths in design, management, operations and business development. In recognition of his wide-ranging talents and accomplishments, Mr. Zheng received the 2004 AIA Chicago Young Architect Award and was named among the Crain’s Chicago Business 40 Under 40 in 2005. He is a member of the AIA, a registered LEED Accredited Professional, a member of the Council on Tall Buildings and Urban Habitat and its Advisory Group, and a member of The Executives’ Club of Chicago. CHICAGO – (March 8, 2018) – Architecture firm Goettsch Partners (GP) is pleased to announce that Paul De Santis, LEED AP, has been promoted to partner. De Santis joins the firm’s five other partners, including James Goettsch, FAIA, chairman and CEO; James Zheng, AIA, LEED AP, president; Michael F. Kaufman, AIA, LEED AP; Joseph Dolinar, AIA; and Lawrence C. Weldon, AIA. De Santis started at the firm in 2005 and, today, serves as a senior project designer. With 20 years of experience, he leads the design on many of the firm’s projects in the U.S. and China. Continually focused on developing the studio culture in both the Chicago and Shanghai offices, he directs designs for office, hotel and mixed-use developments. 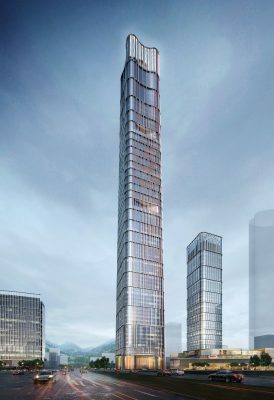 Since joining the firm, De Santis has helped establish the firm’s body of work, particularly in China, with key projects in Beijing, Shanghai, Shenzhen, Guangzhou and Wuhan. He excels at setting a high level of design quality within exceptionally tight timeframes. He further brings a deep respect and passion for the design process, and he is constantly challenging himself and those around him to elevate the thought and execution behind each project. 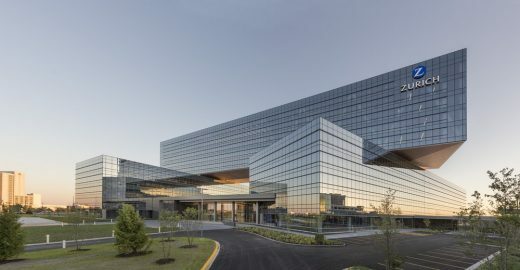 De Santis’ recent work in the U.S. includes the LEED Platinum-certified Zurich North America Headquarters in Schaumburg, Illinois, and the first Viceroy hotel in the Midwest, located in Chicago’s Gold Coast neighborhood. 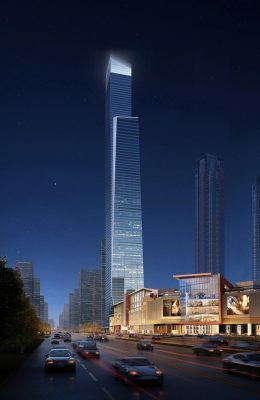 Recent work in China focuses on several tall and supertall buildings, including the 296-meter R&F Yinkai Square mixed-use tower, featuring the 208-key Park Hyatt Guangzhou; the 403-meter Nanning China Resources Center Tower, featuring the 336-key Shangri-La Nanning; the Greenland Optics Valley Center complex, featuring a 400-meter office tower; and the 44-story, 370-key Grand Hyatt Dalian. De Santis received a Bachelor of Architecture degree from Virginia Polytechnic Institute and State University, and he is a registered LEED Accredited Professional. 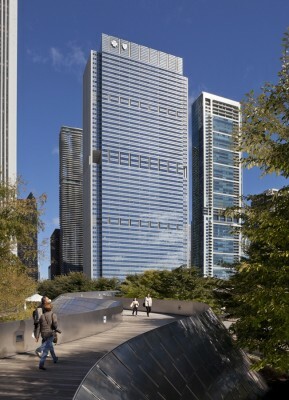 CHICAGO – (December 4, 2013) – Architecture firm Goettsch Partners (GP) has been named the 2013 Firm of the Year, as conferred by the Chicago chapter of the American Institute of Architects (AIA Chicago). The award is the highest honor a firm can receive from the chapter. Established in 1991, the Firm of the Year Award recognizes a single firm’s outstanding achievements, consistent excellence, and ongoing contributions made to the advancement of the architectural profession. A firm’s entire history is examined, but particular attention is given to the work and achievements of the past 10 years. The award will be officially presented at the chapter’s annual meeting and holiday celebration, to be held on December 9. 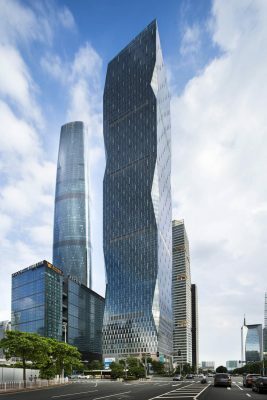 Goettsch Partners (GP) is an innovative architecture firm with a global perspective, emphasizing a singular design approach across offices in Chicago, Shanghai and Abu Dhabi. Focused on combining exceptional design, technical expertise and unmatched service, the firm creates measurable value and environmentally responsible solutions. Services include architecture, interiors, planning and building enclosure design. Diverse projects around the world share a consistent emphasis on bringing bold design clarity to complex challenges. CHICAGO – Architecture firm Goettsch Partners (GP) has appointed James Goettsch, FAIA, to the role of chairman and CEO, and named James Zheng, AIA, LEED AP, the new president, effective January 1, 2013. In their new roles, Goettsch and Zheng will work closely to manage the firm and to develop, expand and deliver business globally. GP’s board of directors made Zheng president in recognition of his outstanding contributions to the firm and his commitment to clients. The board further believes that having Goettsch and Zheng combine their efforts will enhance GP’s ability to provide leading design and technical expertise at the highest service level. 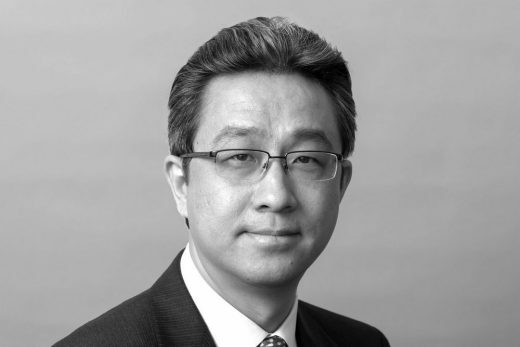 Apart from his new role, Zheng serves as a partner in the firm and director of Asian operations. 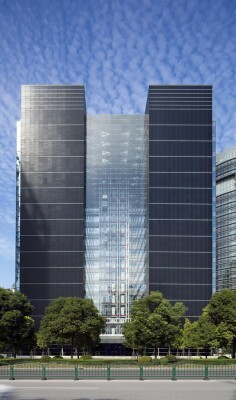 His responsibilities include the planning and design of large-scale office, hospitality and mixed-use developments. Through his efforts, the firm established a representative office in Shanghai in 2004, and it maintains a growing, full-service office there today staffed with local and U.S.-trained professionals. In addition to serving as chairman and CEO, Goettsch will continue as the design director for GP. As such, he develops the firm’s talent and leads the direction and quality of design for the global practice. CHICAGO – Architecture firm Goettsch Partners (GP) has launched a new brand identity, which recognizes the firm’s strategic expansion from a practice working primarily in and around Chicago to one that designs globally, with projects spanning four continents and more than 40 cities. The unveiling of the new identity coincides with the opening of GP’s third global office, in Abu Dhabi. Through a series of ownership transitions, the history of the firm dates to 1938. With the Goettsch Partners name taking effect in 2005, the firm’s partners saw the potential of emerging cities, specifically in Asia and the Middle East, and set a course for expanding business. Positive responses from clients led the firm to establish a full-service office in Shanghai in 2009 and, now, in Abu Dhabi. 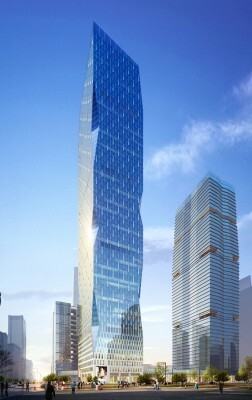 The new Goettsch Partners office in Abu Dhabi is located in Al Sila Tower, also known as Tower 1, at Sowwah Square, a large-scale mixed-use complex that was designed by GP for Mubadala Development Company. 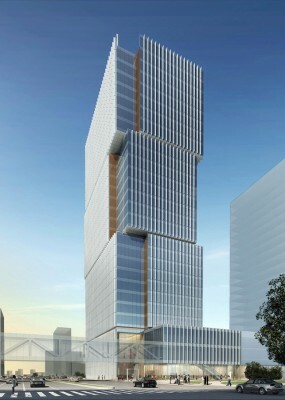 Sowwah Square is the commercial core of Al Maryah Island, formerly known as Sowwah Island, and will showcase the new headquarters building of the Abu Dhabi Securities Exchange, along with four office towers, two hotels and interconnected retail and parking facilities. The GP Abu Dhabi office is managed by Steven M. Nilles, FAIA, LEED AP, a partner in the firm and resident of Abu Dhabi. His team includes architects who have spent the last several years living and working in the area, along with other professionals trained at the firm’s main office in Chicago and relocating to Abu Dhabi. 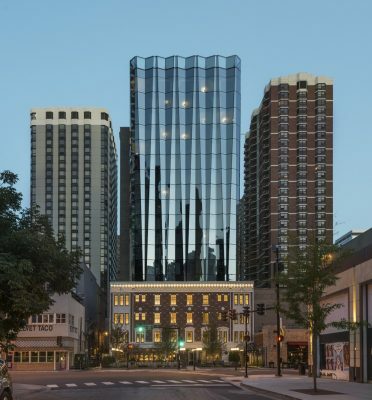 Goettsch Partners is a Chicago-based architecture firm that provides innovative architectural, interior, planning and building enclosure design services to clients worldwide. Goettsch Partners, through a succession of ownership and name changes, is the direct descendant of the architectural practice started by Mies van der Rohe in 1938. Goettsch Partners has a rich history of transforming complex challenges across a range of project types into singular design solutions of lasting impact and value. 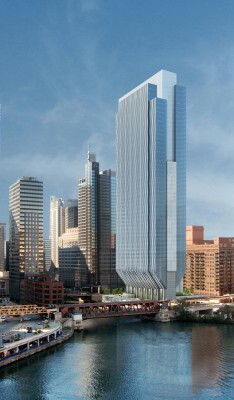 In its home city, recent projects by Goettsch Partners include 111 South Wacker, the world’s first-ever building certified LEED-CS Gold; the in-progress, 25-story vertical addition to 300 East Randolph, the headquarters of Health Care Service Corporation and its Blue Cross Blue Shield of Illinois division; and, in collaboration with Ben Wood Studio Shanghai, the proposed design for the Chicago 2016 Olympic Stadium. 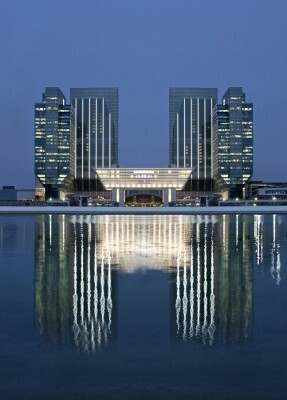 Overseas, work by Goettsch Partners includes the Four Seasons Hotel and Resort in Mumbai, India; Grand Hyatt international luxury hotels in São Paulo (Brazil), Mumbai (India), and Guangzhou (China); a 4.5 million-square-foot mixed-use development in Nanjing, China; the master planning and design of eight buildings in China’s burgeoning Suzhou Industrial Park, and projects in more than 13 other Chinese cities. August 29, 2018 in Architects.